A good clear copy of volume 4. Rebound ex Library book with usual stamps and stickers. The cover has some shelf wear. No dust jacket. Text clear and bright. Good condition is defined as: a copy that has been read but remains in clean condition. All of the pages are intact and the cover is intact and the spine may show signs of wear. The book may have minor markings which are not specifically mentioned. Most items will be dispatched the same or the next working day. Good. No dustjacket, 1908, odd foxing to end papers, clean copy. Good. No dustjacket, 1903, odd foxing to end papers, clean copy. Good Condition (Ex-Library). No Dust Jacket. Hardback. Pages 1-520 & pages 521-801. New endpapers. With library stamps & labels. One page miscut with some protuding paper margins in bottom right hand corner (slightly creased). Slight wear to spine, covers & corners. Size: Quarto. Item Type: Hardback. 80 Quantity Available: 1. Shipped Weight: 2-3 kilos. 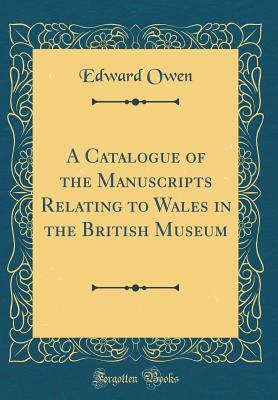 Category: Welsh History & Topography; Book History, Book Binding, Book Collecting & Bookseller Catalogues; Wales; 1900-1920; Pictures of this item not already displayed here available upon request. Inventory No: 018695.